In the first few decades after the City of Indianapolis was founded, officially designated parkland was not deemed necessary. Farms and forests throughout the county provided adequate natural settings for recreational activities. 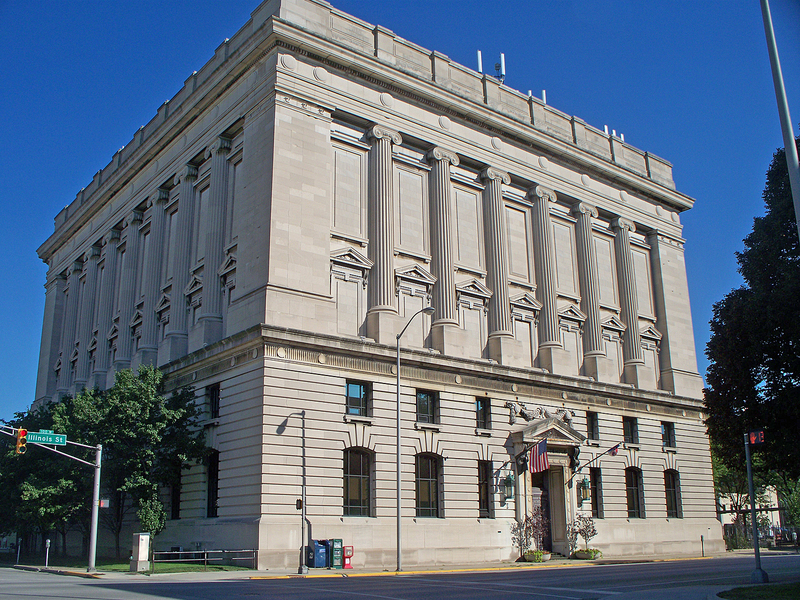 However, as the population of Indiana’s state capital began to grow in the mid-1800s, and as the buildings erected in the center of town became larger and denser, the concept of green spaces that were owned and operated by governmental entities began to emerge. The first public recreational area in Indianapolis was established in 1864, when Governor Oliver Perry Morton (1823-1877) donated a 14-acre parcel of downtown land that had been the site of a Civil War encampment, as well as the location of the first Indiana State Fair. Although the land is owned by the State of Indiana, Military Park is considered to have been the genesis of a park system in the City of Indianapolis. University Park became Indianapolis’ second public park, although it too is on land owned by the State of Indiana. 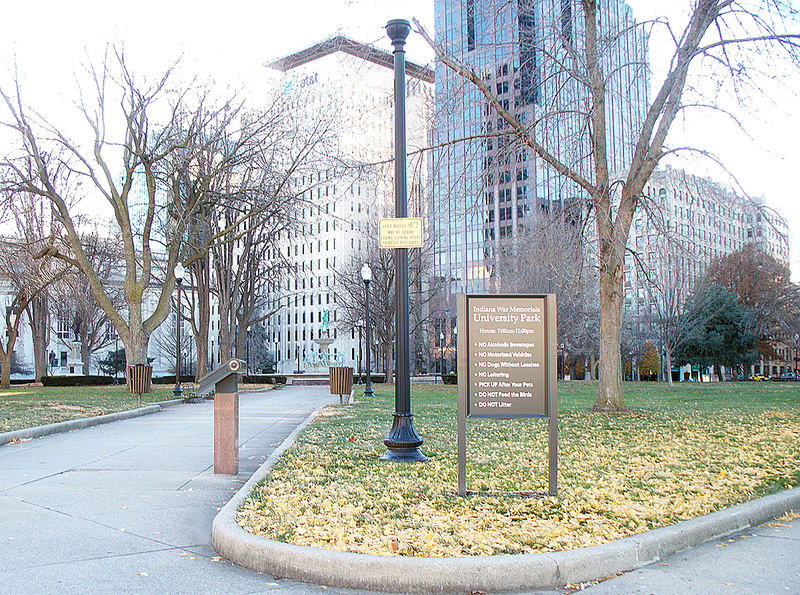 Located two blocks north of Monument Circle, between Meridian and Pennsylvania Streets, University Park occupies an entire city block just south of the World War Memorial. The park was given its name because it was originally set aside to be the site of a state university. The property stood undeveloped for nearly half-a-century, so after the Civil War, citizens established a fund to make it a park instead. 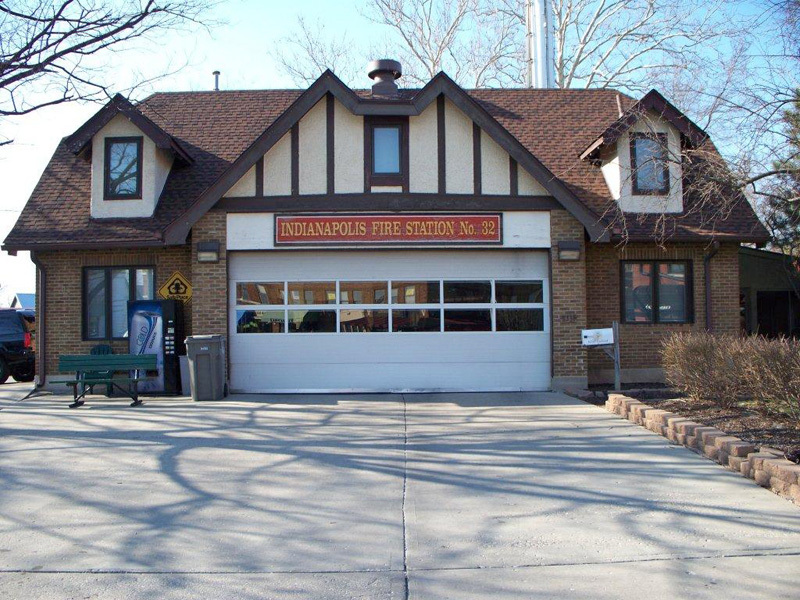 The City of Indianapolis made an agreement with the State of Indiana to maintain the park. The Depew Memorial Fountain in the center of the square was named for a physician whose widow donated a sizable sum of money for the construction of a fountain in his name. Over the years, statues were installed honoring Benjamin Harrison, Abraham Lincoln, and Schuyler Colfax. 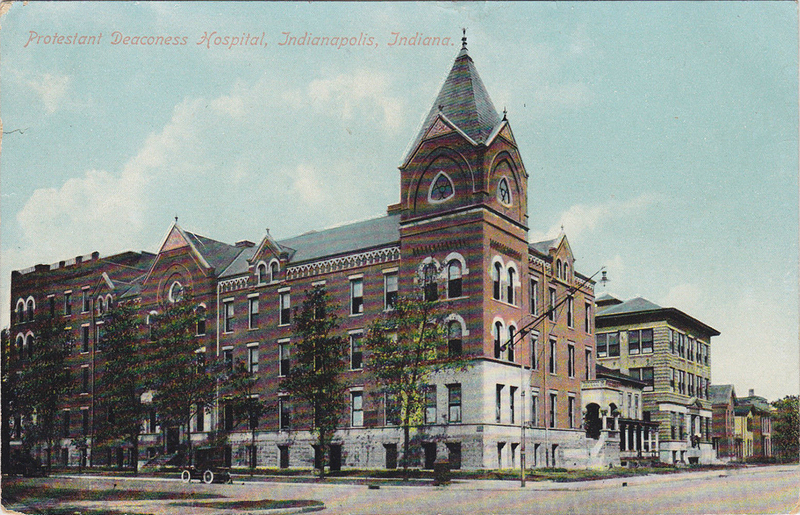 In 1873, the City of Indianapolis acquired 98 acres south of the city. 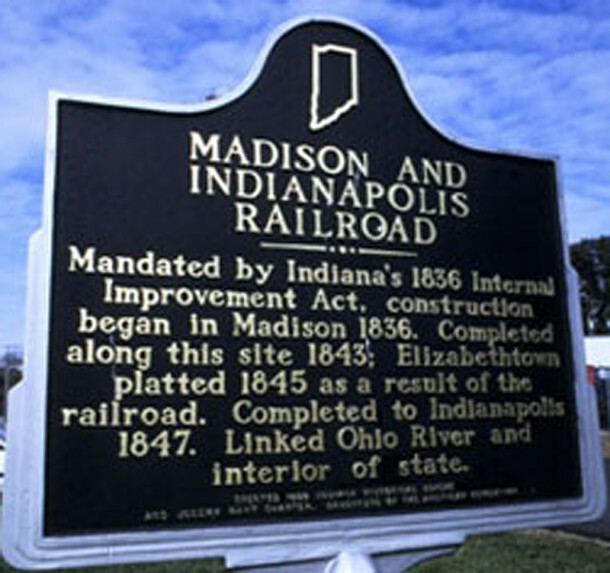 Originally known as Bradley Woods by locals, the Jeffersonville Railroad Company had purchased the land in order to construct a railroad to downtown Indianapolis through the property. After completing its route, Jefferson Railroad then sold the excess land to a group of men who intended to operate a racetrack east of the railroad right-of-way. Due to its remoteness from downtown and an economic depression, the Southern Riding Park failed. The property was then purchased by the Marion County Sheriff. He sold the land to the City of Indianapolis, which leased the property to the Indianapolis Trotting Association. This lessee’s business failed, as well, so the City decided to find a use for the land. 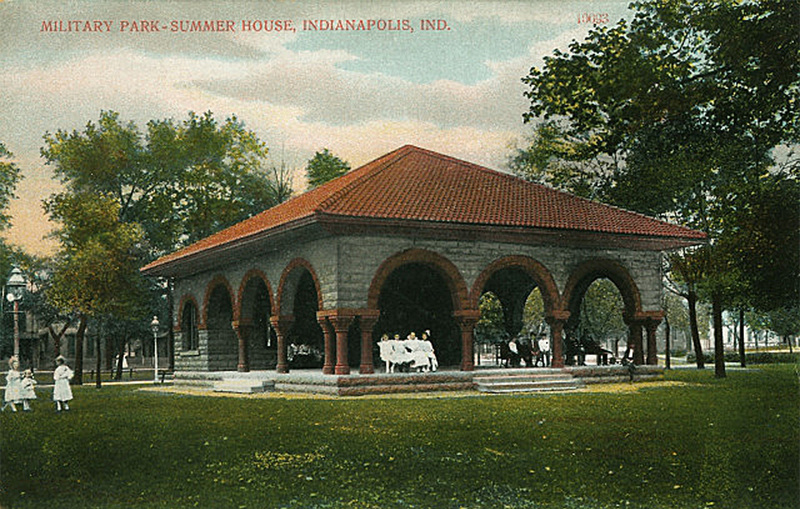 In 1876, Southern Park opened as the first public park actually owned by the City of Indianapolis. 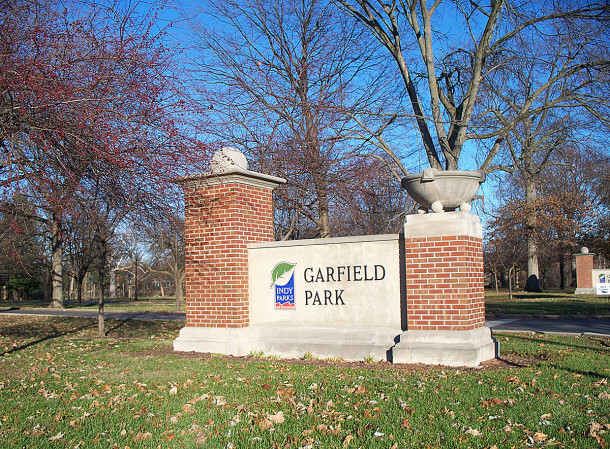 The facility was renamed Garfield Park after the assassination of President James A. Garfield in 1881. 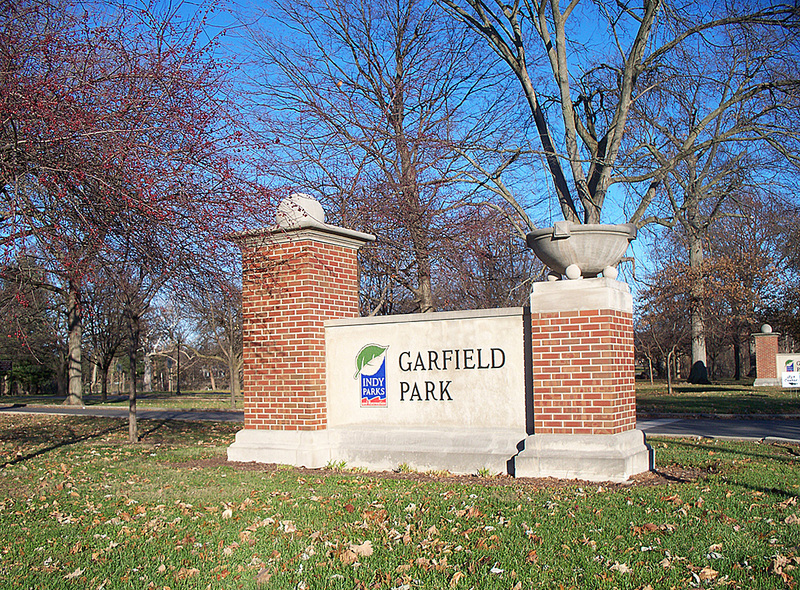 Garfield Park was the subject of a Historic Indianapolis article in July of 2013, which you can read here. 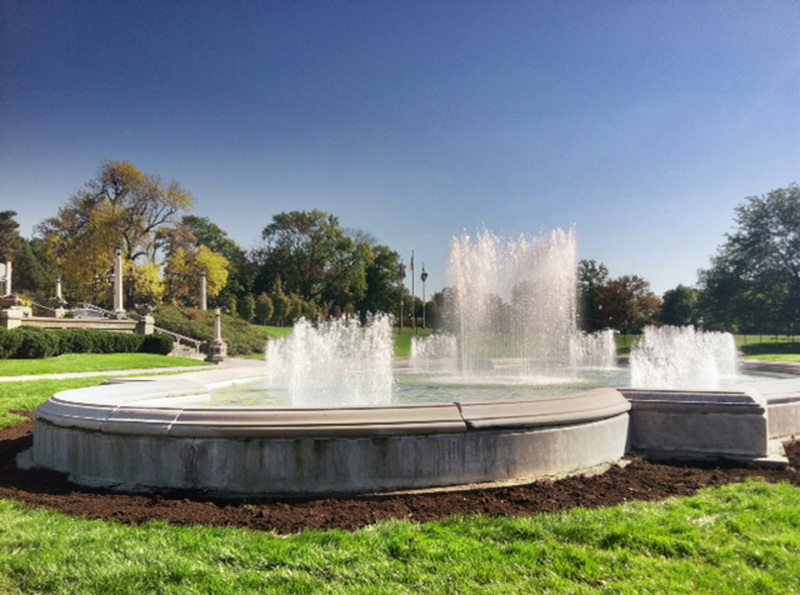 In the early years of Garfield Park’s existence, decisions about maintaining and improving it were made by the members of the Indianapolis City Council. Their efforts to oversee the park were haphazard and inefficient. In 1895, newly elected Mayor Thomas Kingsbury Taggart (1856-1929) created the Board of Park Commissioners, whose mission was to focus exclusively on the development and administration of a city park system. 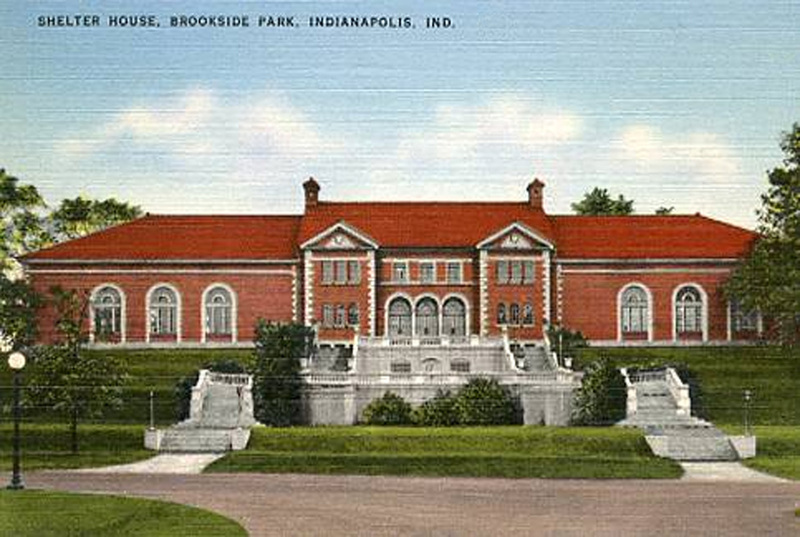 In 1898, both Brookside Park and Spades Park were established on the eastside. The boundaries of the two parks adjoin one another at Rural Street. 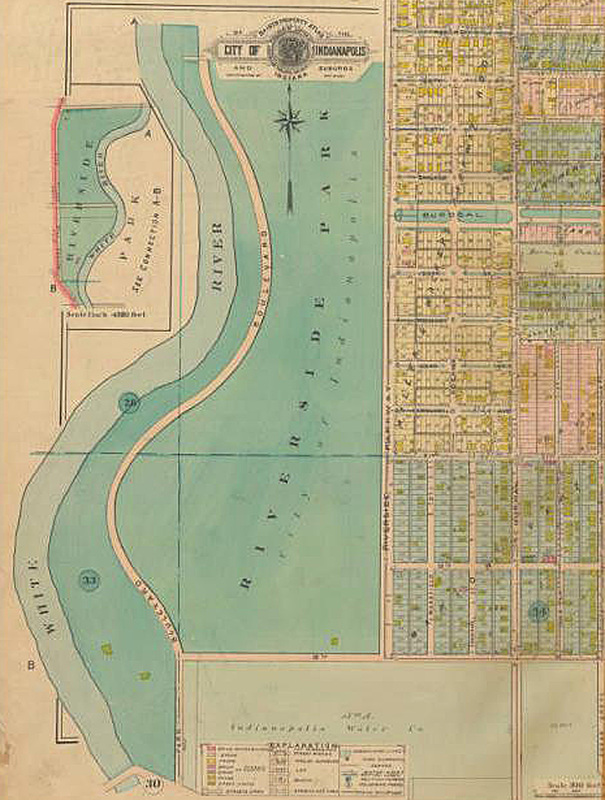 That same year, Riverside Park was founded on the northwest side. As its name implies, a river forms one of the park’s boundaries, namely the White River. 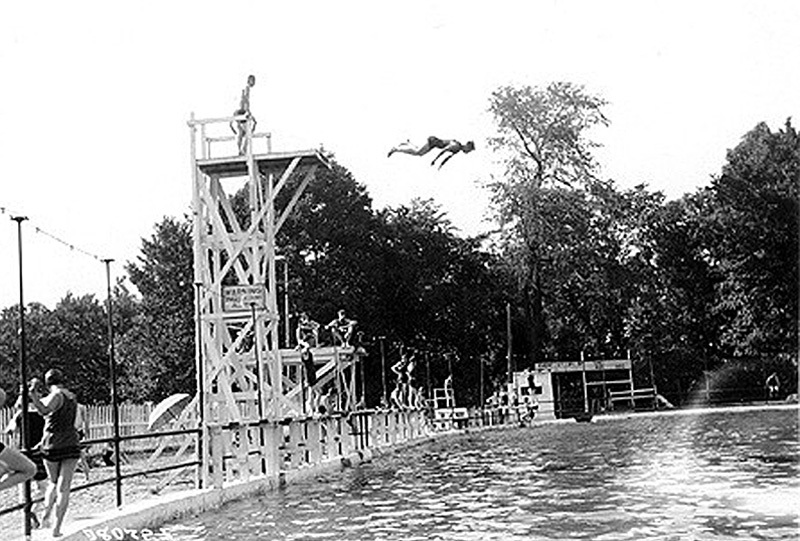 At the time, Mayor Taggart was criticized for squandering money on the purchase of land to create Brookside Park and Riverside Park, as well as several smaller parks and parkland alongside Fall Creek. As the years went by, however, early critics came to realize the wisdom of Taggart’s forward-thinking ideas. 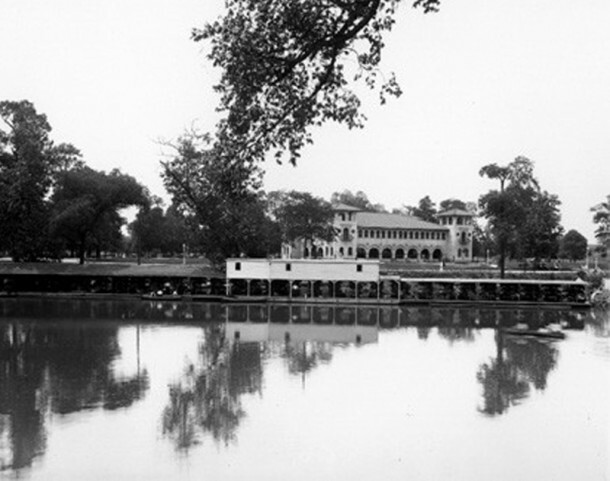 In particular, his acquisition of Riverside Park for Two-Hundred-and-Thirty-Thousand Dollars at the end of the nineteenth century was seen in a whole new light when it was estimated to be worth several million dollars by the 1920s. 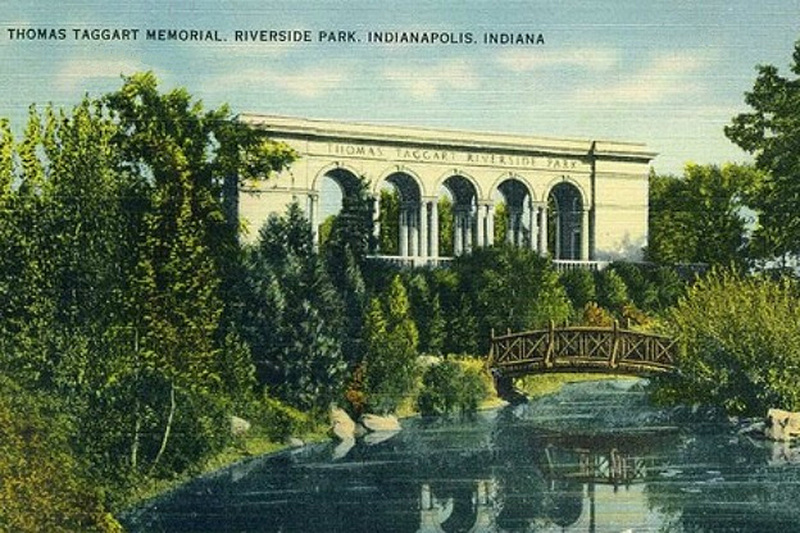 Encouraged by the “City Beautiful” movement, an architectural and urban planning philosophy promoted at the 1893 World’s Columbian Exposition in Chicago, Indianapolis continued to improve its city parks in the early 1900s. In 1905, the City hired landscape architect George Edward Kessler (1862-1923) to develop a system of boulevards and parks alongside the city’s waterways. Fall Creek Boulevard (now called Fall Creek Parkway), the Garfield Park sunken gardens, and Riverside Park were some of the areas addressed in Kessler’s master plan for the city. From the 1920s to the 1960s, the Indianapolis Parks Department fluourished. Besides recreational activities, the park system expanded to include classes, concerts, and social events. The parks began charging for services, making them self-sustaining. 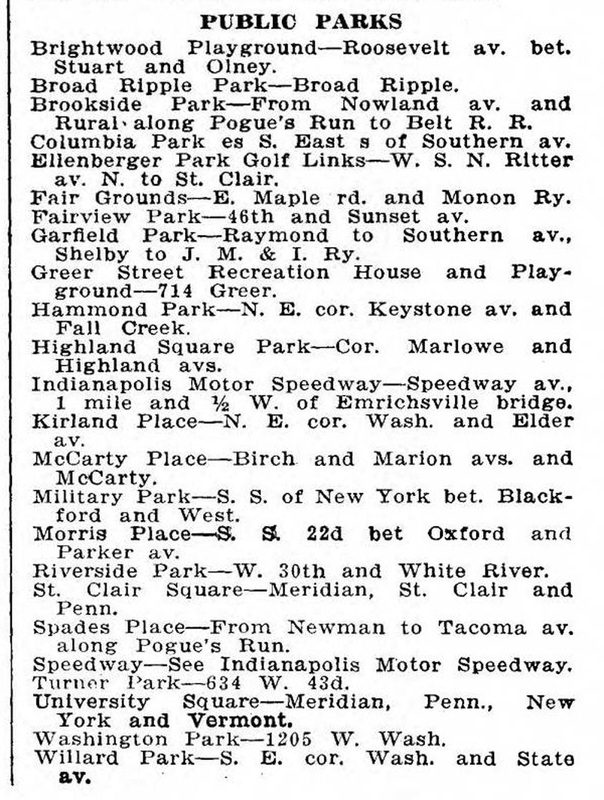 At the time the 1920 Indianapolis City Directory was published, about two dozen parks were listed on all sides of town. The annexation of the Town of Broad Ripple in 1922 resulted in the addition of Broad Ripple Park to the city’s growing list of public recreational venues. The huge swimming pool was just one of its many attractions. In recognition of his role in founding the parks department, the Thomas Taggart Memorial was erected in Riverside Park in 1931. Sadly, the 82-year-old limestone colonnade has not been well-maintained, and it now shows years of neglect. The effort to restore this monument was the subject of a Historic Indianapolis article back in September of 2011, which you can read here. With 3,900 acres of forest and 1,400 acres of water, Eagle Creek Park is one of the largest city parks in the United States. 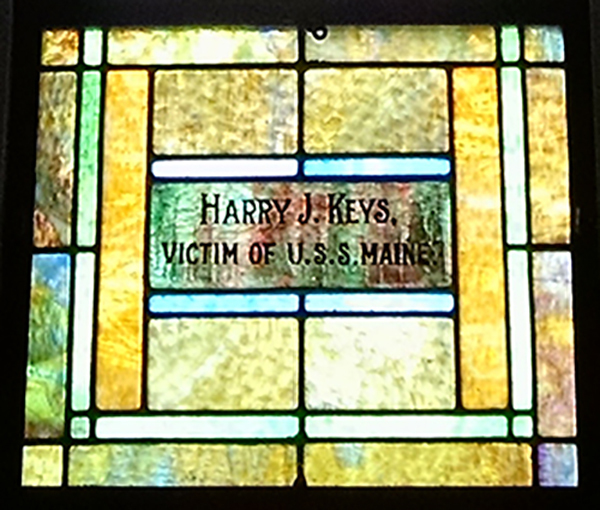 Established in 1969, the property was owned by J. K. Lilly from 1936 to 1958. 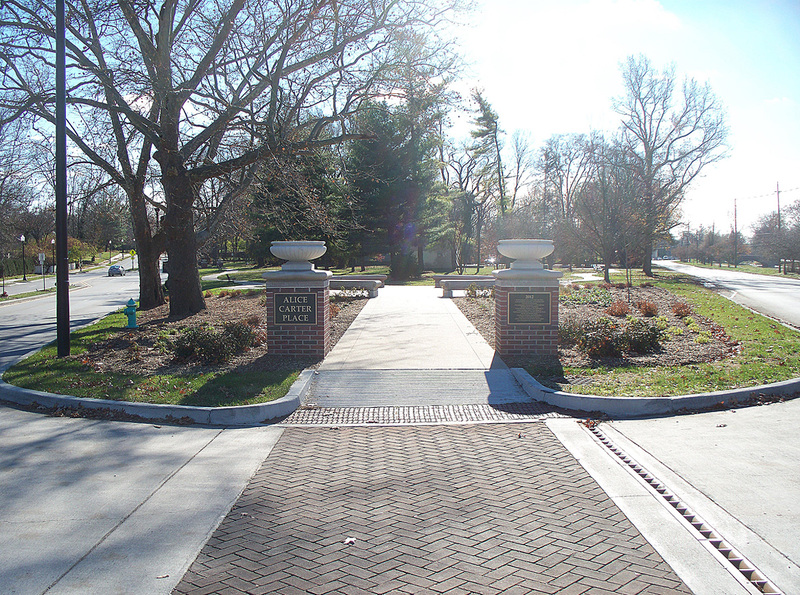 Lilly donated the land to Purdue University in 1958, and the City of Indianapolis purchased it from Purdue. 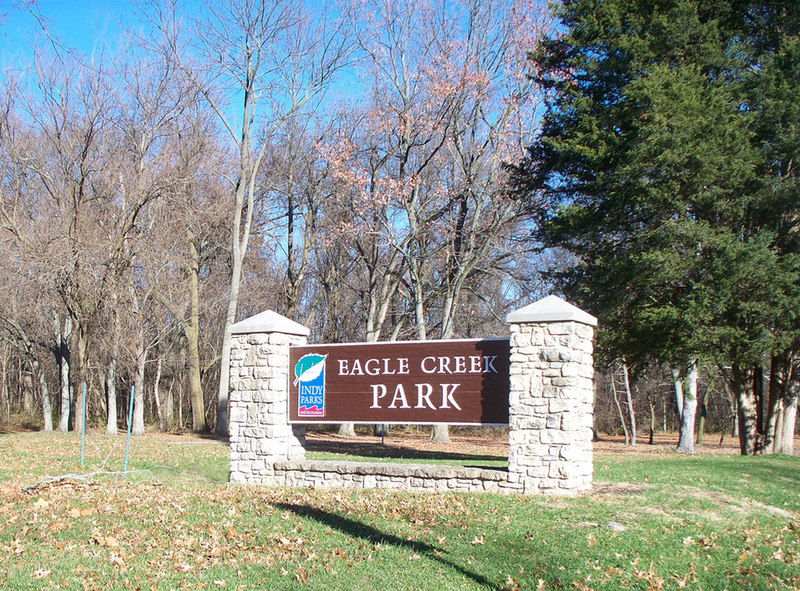 Eagle Creek Reservoir was built to provide flood control, offer recreational activities, and serve as a source of drinking water. In the 1970s, the creation of Unigov immediately expanded the parks system to include all public parks in Marion County that had formerly been outside the city limits. As the residential population shifted from the center of the city to the suburbs, the parks department shifted its focus accordingly. 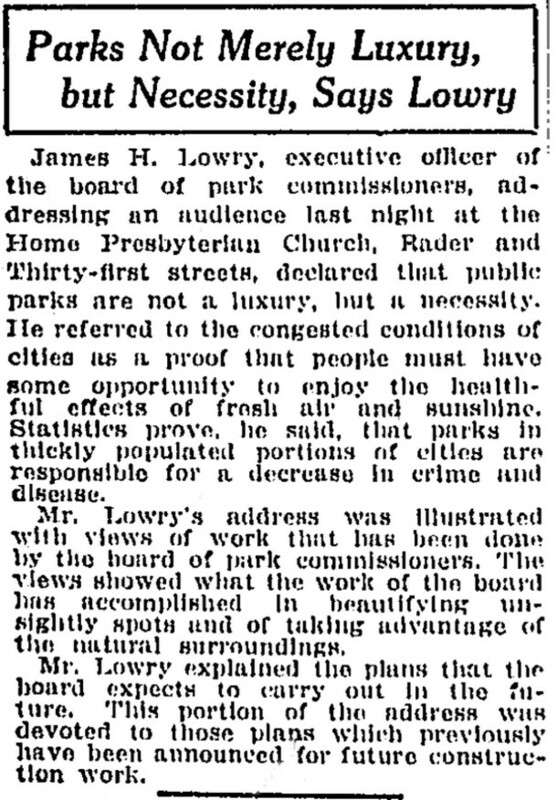 Enhancements to suburban parks took precedence over urban parks. At the time the 1985 Indianapolis City Directory was published, about four dozen parks were listed. In recent years, the park system’s offerings have continued to be more and more diversified. As people have taken a greater interest in fitness, options for walking, bicycling, and skating have been greatly expanded. 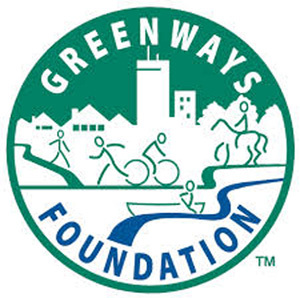 Indianapolis Greenways has changed the way the community connects by building a network of trails, bike lanes, and pedestrian paths. In addition to the 60-plus miles of Greenways Trails, the 8-mile-long Indianapolis Cultural Trail, connecting the six areas that the City had designated as Cultural Districts in 1999. A video about the Cultural Trail can be viewed here. Today, Indy Parks & Recreation maintains more than 11,000 acres of parkland. The venues include 207 parks, 60 miles of greenways, 21 swimming pools, 16 family centers, 15 spray parks, 13 golf courses, 4 nature centers, 4 disc golf courses, 4 dog parks, a mountain bike trail, an ice rink, a conservatory, a sunken garden, an arts center, a skate park, a BMX complex, and a velodrome. Some smaller parks have been adopted by neighborhood associations or individual neighbors. A complete list of all parks can be found here. In recent years, neighborhood associations have taken the initiative to help create and/or maintain the parks in their areas. Also, large companies with annual service days, like the Lilly Global Day of Service, have assisted in maintenance of and improvements to city-owned properties. Faced with the ever-increasing cost of operations, the City of Indianapolis is now considering the idea of contracting with a private company to run the parks system. Do you have an opinion about the privatization of Indy Parks & Recreation? If you do, please leave a comment below this article. Considering the fact that PUBLIC recreation is a PUBLIC venue, the City should not privatize the park system; it may be OK to charge for certain activities, but not to actually privatize them; we’ll still end up subsidizing them anyway, like we subsidize “charter schools” (to the continued detriment of true public schools), which have a mixed bag regarding their alleged “success”. Since the current city administration took office, there has been a systematic reduction of funding for the Indianapolis Parks Department. In that time the budget for Indy Parks has been reduced by one third and next year’s proposed budget is a further reduction of 25%. Now the administration seeks to privatize park functions. This year the Capital Improvements Board budget (uprimarily for the operations and debt reduction of professional sports facilities) is $138 million or a little over 7 times that of Indy Parks. When the citizens of Indianapolis spend so much more money watching others engage in physical activities than they spend on recreational opportunities for themselves, is it any wonder that obesity remains a major health problem? Indianapolis has a proud history of establishing parks in nearly every square mile. Surely the city can continue to support its unique park system and not turn it over to a private developer who will try to make a profit at the expense of the parks system–selling parks for housing or business buildings. Please remain constant in the city’s support of the parks.